We believe in simple & effective. LESS IS A LITTLE MORE. The Camfield is Perth's newest and biggest pub, opening in early 2018. 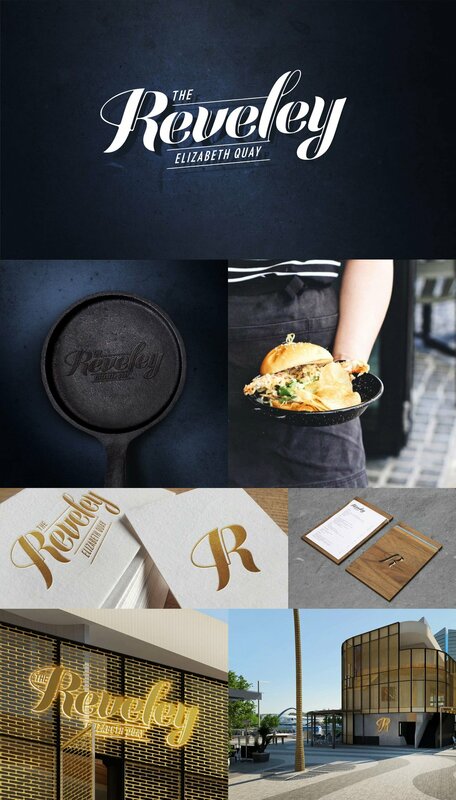 Identity Perth built this brand from the ground up including all communications, signage and online presence. An authentic and inspiring build by Mobilia. We are excited to share our modern and dynamic transformation of the WA Country Health Service brand, reflective of their standard of innovation and service and carves a new path forward for this government organisation. Branding and collateral for the Argyle Diamonds 2018 Ord Valley Muster, a series of 30+ events set against the stunning Kimberley landscape. Our task was to capture the magic and diversity of the events and experiences whilst honouring the stunning artwork of Louise Malarvie. Brand build for Three Pound Group, behind some of Perth’s most popular venue’s such as The Camfield, The Reveley, The Globe, and The Stables Bar. This is a simple, minimalist brand with a twist. The Reveley hails from the team at the highly acclaimed The Stables Bar, and is located in Perth's Elizabeth Quay with stunning views over the city. Identity Perth built this brand to represent a stylish fusion of eclectic, modern and harbourside weathered elegance with a nod to the location's past. Kaleidoscope 2016 was WA’s first light and illumination festival, transforming the City of Joondalup into an extraordinary wonderland. Last year’s inaugural event attracted 50,000+ people and shone a light on some of Australia’s most dynamic creatives, and Identity Perth were proud to be a part of it. Little Creatures in Fremantle has just launched Elsie WA Ale, the beer that’s brewed in Fremantle, made for WA. It’s now pouring from their Brewery as well as selected venues around Fremantle and the South West Coast. Rottnest Island Carnivale is a full day and night of festivities raising funds for Telethon. The event is an exciting island-wide celebration with loads of free entertainment and activities, outdoor cinema, live performances and a Halloween themed Food Village. Albany (South of Perth, Western Australia) was the final departure point for the first ANZAC troops on their way to the battlefields of the First World War, and as such lays claim to being the origin of the first dawn service. Identity Perth created the brand for the City of Albany for this historic event which is commemorated annually.